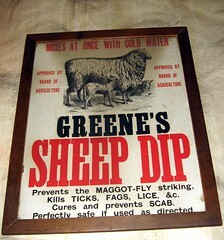 A sheep dip is a large tank in which you dunk the unsuspecting sheep to clean them up and rid them of parasites. The sheep line up; you grab one and dunk it in the tank … It wears off, of course, so you have to dip them again. Sheep dip training follows the same model. You lineup unsuspecting employees, dunk them in an intensive, three-to-five day event … and proclaim them to be Java developers, .NET developers, or what have you. It wears off, of course, so next year you need to have a “refresher” course – another dip. The Dreyfus Model: Developer Events and Skill Categories Perfectionism: for the Insane?